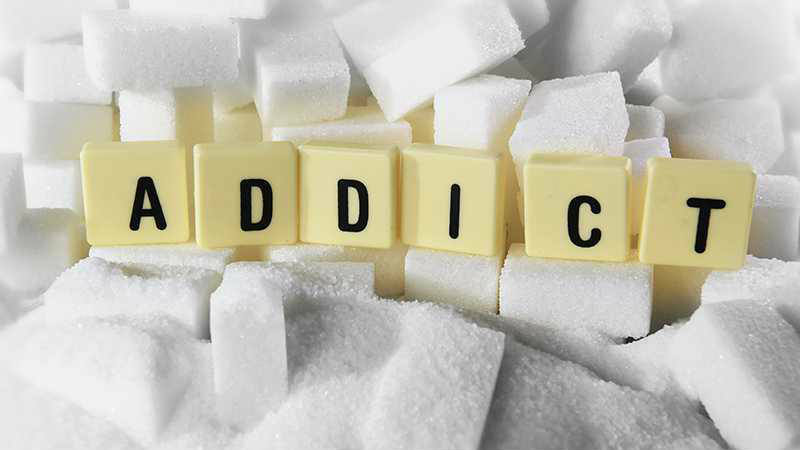 Sugar Addiction – More Dangerous Than Heroin and Cocaine! Everybody knows that the sugar addiction is killing us faster than we can realize. The latest studies have shown that sugar is more addicting then cocaine. This incredible fact leads me to wonder if the Drug and Food administration planning to ban the sugar. It is illegal to use cocaine, but what about the sugar? We can’t imagine to be arrested for sugar consumption. 1.5 billion people all around the world are overweight, in US 70% of the population has problems with the sugar addiction and with obesity. Unfortunately, this number will increase to 2.3 billion worldwide by the end of 2015. Since 1820s the consumption of sugar has increased at an astonishing rate. At that time Americans consumed 20 lbs of sugar per year. Today Americans consume 130 lbs of sugar per year where the average American intake 3,550 lbs of sugar in the lifetime. “The Blood Sugar 10 days detox diet” is the new book by Dr. Mark Hyman where he explains the negative effects of sugar in the body. Dr. Mark proves that sugar is the new nicotine. The consumption of a lot of sugar is the main reason for obesity and diabetes. The study in 2013 has shown that sugar activate more neurons in the brain’s “pleasure center” than the exposure to drugs. Dr. Mark explains how people can’t manage their eating habits and behavior because of the biology and taste buds that have been hijacked by high glucose, processed high sugar and hyper-palatable foods that drive their neurotransmitters and hormones to make them consume more. If you want to know more about the sugar industry and sugar addiction, watch the documentary called “Fed Up” where you will reveal the truth that government doesn’t want you to know. If you are overweight and have sugar addiction – try to avoid white refined sugar and artificial sweeteners and you will see the difference in the body in a short period of time. This is especially good information to know and to share with your friends, family and people around you!